The Famous Idaho Potato Bowl is back. Toledo and the upset-minded Utah State Aggies play in Boise less than two weeks from today. Utah State realized Gene Chizik was a fraud before most of us. The Beef O’Brady’s bowl is back too. Jason Whitlock is happy. SMU is in a bowl game. This probably always will be a little bit amazing. And they’re going to Hawaii. June Jones is happy. The first big matchup of this posteason is the Holiday Bowl, which pits Baylor against UCLA. Early ALDLAND line has the Bruins – 7.5. The first underrated matchup of this postseason is the Independence Bowl: Ohio and Louisiana-Monroe (a matchup that almost didn’t happen). Edge goes to the Warhawks, playing in a near-home game. 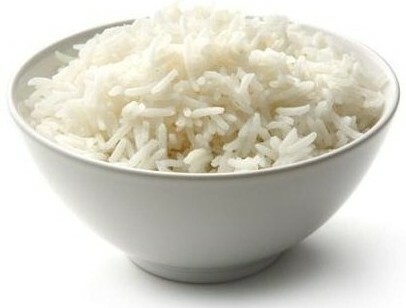 Rice is in a bowl game. Michigan State and TCU will meet in the Buffalo Wild Wings Bowl. BW3 really has stepped up its football-related advertising this fall. As for the game, it probably will be a good one. Both teams took a step backward this season. Vanderbilt will host North Carolina State in the Music City Bowl on December 31. I don’t pretend to understand the first thing about how these bowl selections work, but this draw has to feel at least a little disappointing for a team that went 8-4 (5-3) in the SEC. NCST isn’t a cupcake though, and whatever the perceived prestige of the Music City Bowl, you can be sure James Franklin has that gift horse’s mouth sewn completely shut. Here’s hoping for a 9-4 record. LSU and Clemson will meet in the Chick-fil-A Bowl. Purdue is going to get smoked by Oklahoma State in something called the Heart of Dallas Bowl. South Carolina and Michigan will play in the Outback Bowl. That game will mirror one of three previous games: a) Michigan’s devastating bowl loss to Mississippi State two years ago; b) Michigan’s devastating regular season loss to Alabama earlier this year; or c) Michigan’s solid bowl win over Florida about four years ago. You decide, or just watch the game and whatever. Georgia and Nebraska will meet in the Consolation PrizeCapital One Bowl. What’s in your strength of schedule? Rose Bowl: Wisconsin and Stanford. Wait, Wisconsin won that game? Pasadena is not going to turn up roses for the Badgers, who were only the third best team in their Big Ten division. Stanford is good, and underrated. Orange Bowl: Northern Illinois and Florida State. You fill in the blanks on this one. Sugar Bowl: Louisville and Florida. Is this real life? Fiesta Bowl: Oregon and Kansas State. Ok here’s a game. The national semifinal we didn’t really get, and which isn’t really a semifinal because of that team no one likes (Notre Dame). Cotton Bowl: Texas A&M and Oklahoma. I guess NIU didn’t take Oklahoma’s spot after all, hand-wringers. Should be a solid game. Compass Bowl: Pitt and Ole Miss. I guess after all these years, I just really don’t understand college football at all, much less the BCS. National Championship: Notre Dame vs. Alabama. My guess is that outside of Northern Indiana, a majority of fans would rather see Alabama and Georgia play again, and I’d guess that would be true even if you bracketed the Southeastern U.S. Manti T’eo’s story is a remarkable one, but I don’t think he can heart the Irish to victory in this one. Again, the full schedule is available here. This entry was posted in ALDLAND and tagged alabama, ball state, baylor, bcs, clemson, college football, florida state, gene chizik, georgia, jason whitlock, jim rome, kansas state, louisiana tech, louisiana-monroe, lsu, manti t'eo, michigan, michigan state, nebraska, north carolina state, northern illinois, notre dame, ohio, oklahoma, oklahoma state, ole miss, open 'dores, oregon, pittsburgh, purdue, rice, sb nation, smu, south carolina, Stanford, tcu, texas a&m, toledo, ucla, utah state, vanderbilt, wisconsin by AD. Bookmark the permalink. Thanks for the links AD. Your continued support is much appreciated. 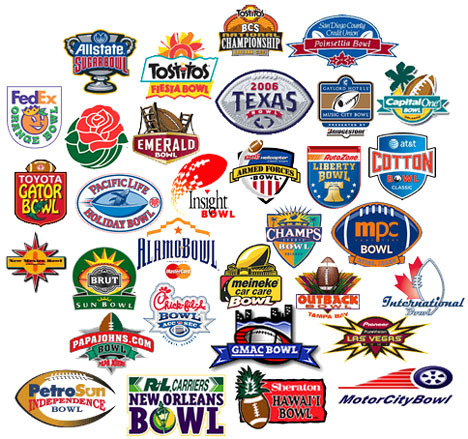 Good list of bowl headlines as well, but what do you think about MTSU missing out on a bowl? I like Western Kentucky, but it is a little odd they will be playing in the postseason despite not only being behind Middle Tennessee by two games in the conference, but also losing to the Blue Raiders 34-29 at home. Could have something, or everything, to do with MTSU announcing their move to Conference USA. Agreed. My omission of MTSU from this post was almost as egregious. The Blue Raiders belong in a bowl game, and I wouldn’t be surprised if their snub had something to do with conference realignment politics. It also may have to do with fears from the bowl side about Middle’s ability to sell tickets, especially since they’d be playing out of state, with the Liberty and Music City bowls booked up. MTSU may be the biggest school in Tennessee, but I’m not so sure about their football fan base, and I’m guessing the bowls weren’t so sure either.